In this blog post I'll explain to you guys how i did my screening and admission processes. 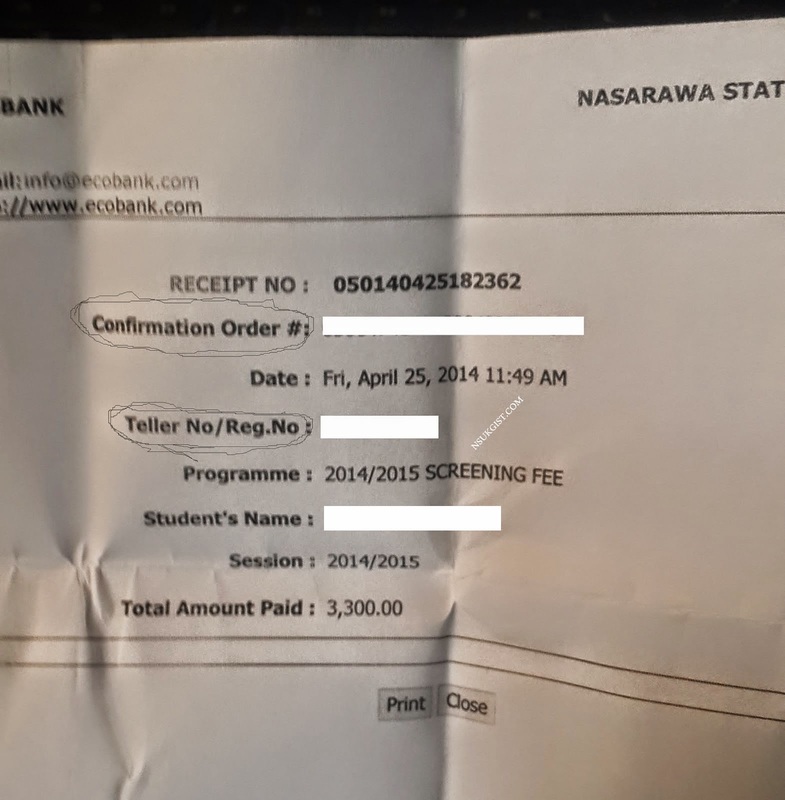 After i went through the school screening procedure, I headed to Eco Bank with my friend and i asked if i can pay my screening fee at the branch i was told to wait so they can confirm, after some minutes i was asked to pick a bank teller and a staff at the bank gave me some instructions on how to fill the teller. Leave the account number space empty! Tittle and name of account should be "Nasarawa State University Keffi. Submit with cash to the same bank staff you made enquiry from, they will tell you to wait for your E-tranzact receipt, collect the receipt which will be printed out inside the banking hall and confirm your informations are correct. Now attach your teller and the E-tranzact receipt together cause you will still be needing it in school. Upon Payment of the #3300 in the bank, wait 24hrs before printing your clearance and screening form. 1. Maths/Computer Lab1 located inside the Faculty of Natural and Applied Sciences directly behind the main Admin Block. 2. IT Centre beside the School Library. 3. In the Convocation Square Shop 7. 4. Within the Faculty of Administration close to the Banks in the School Premises. (ie in the Deans office or Shop Opposite Diamond Bank inside the school). guy plz is 3rd list goin to come out?